Emirates Spinnaker Tower guests raised a toast to the iconic viewing tower’s brand new pop-up Champagne Bar event, named Champagne Sundays, last week. 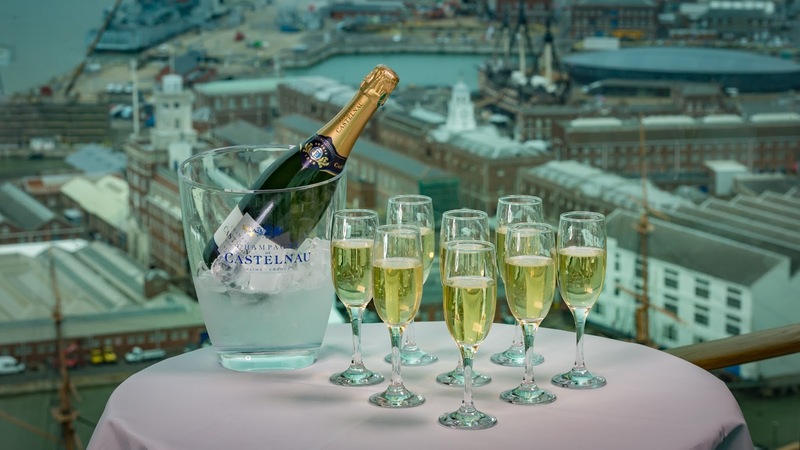 Due to be hosted on Sunday evenings from 11 June to 10 September (excluding 6 August), guests will savour the stunning sunset over Portsmouth Harbour and be serenaded by live acoustic music whilst enjoying Champagne on View Deck 1, 100 metres above sea level. The evening provided music by Nathan Turner aka Proper Little Soul Boy. 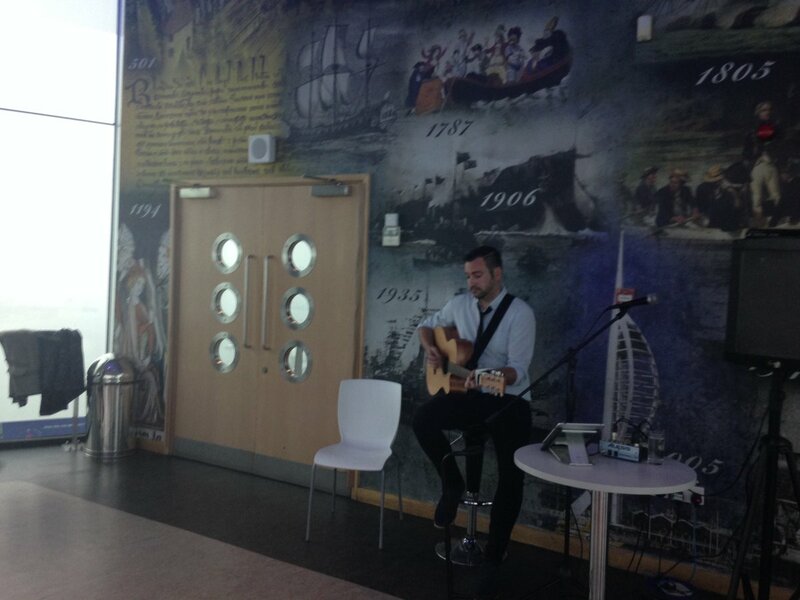 Following a move to Portsmouth last year, he works locally as a DJ and musician alongside his acting career. He has performed in theatres across the country as well as providing voice-overs for various ad campaigns and audio books. Tickets are £16 per person and include a glass of Castelnau Champagne on arrival. A selection of Champagne options to suit all tastes will then be available from the dedicated bar on View Deck 1, including Lanson Black, Veuve Cliquot and Hambledon Sparkling Wines. Founded in 1916, Champagne de Castelnau is located in the heart of Reims where it makes just under half a million bottles of de Castelnau per year. Their grape growers own more than 900 hectares of vineyards across some of the best terroirs of Champagne in 149 different crus. Hambledon is located on the South Downs in Hampshire and is England’s oldest commercial vineyard, originally established by General Sir Guy Salisbury-Jones in the 1950s. One of the oldest holders of the Royal Warrant, Champagne Lanson is a family-run House in the capital of Champagne, Reims. In the grounds of the House lies the only vineyard left within the walls of the city, Clos de Lanson. A library of fine and rare vintages of Champagne Lanson is stored in the limestone cellars that lie underneath the House in Reims. Places at Champagne Sundays are limited so pre-booking is recommended to guarantee entry. Book online at www.spinnakertower.co.uk or call 02392 857 520.